Brexit, which refers to the Britain’s withdrawal from the European Union, has been a surprising and seismic move, which caught global investors and tech firms off guard. In the follow-up, there has been a massive build-up of negative and adverse sentiments demoralizing the business fraternity. However, it is time to holistically review the after-effects of the EU-Britain divorce. 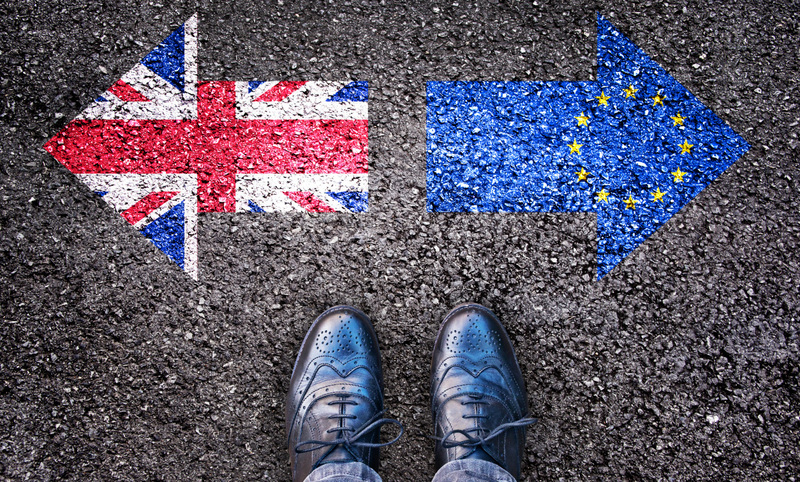 Brexit might actually mean much more than what it seems on the surface – both for the tech firms as well as the businesses which have got interests both in England and across the English Channel. Many companies, tech or otherwise, will have their prospects entangled in the whole withdrawal process. Nebula around the two regimes will take a long time to clear thereby discouraging businesses from chalking out a long-term roadmap. The EU has complemented the entire region by prioritizing broadband in every home and enabling citizens with technology. In addition, the EU passed data-protection regulations and recognized the needs for countries to work together on cybersecurity issues – which continues to be a challenge for countries around the world including the US. Given this scenario, Brexit has proved to be an event that has upset the whole EU agenda. Because of many of the EU moves, Britain has been one of the biggest beneficiaries on talent and digital fronts. The exit is expected to yield unhealthy outcomes, at least, in the wake of the fact that the EU has been constantly working toward a digital single market, a seamless online marketplace where digital services can flourish and where industry and the economy could benefit from digitalization. Now while the EU has to redraw the lines, UK would be deprived of these benefits. The European Union was also striving to make sure phone users could enjoy movement from member state to member state without having to pay roaming fees. Businesses which require movement of their executives across states would be benefitting from this. After Brexit, the UK businesses would no longer be able to avail this facility and will have to figure out ways to work in the EU either through offshoot branches or regional entities. One thing is for sure that Britain cannot afford to work in a silo as it earns about a fifth of its revenue outside the UK. While the future becomes clear in the days to come, one can only hope that the interests of the businesses would be taken care of. As far as the tech-industry’s sentiment is concerned, it continues to be negative. A survey of the UK’s tech workers by Juniper Research also outlines this. It found that 65 percent think Brexit will impact the global tech industry negatively and hamper growth. It also underlines that the UK companies will face challenges when planning to hire workers from across the EU. The UK has been Europe’s tech leader, with the country boasting 18 of the EU’s 47 private tech companies valued at more than $1 billion. Definite impact on their valuations and business is feared. There is high probability of Germany and France taking the center-stage, as England’s prospects are expected to wane eventually. Experts do believe that companies need not worry much if they play their cards right and pay due attention to their presence across the English Channel. This might give birth to new business models and create a new ecosystem. A report published by The Guardian earlier in May 2016 showed that many British unicorns (tech companies valued at more than $1 billion) favored the EU membership. The likes of JustEat, Funding Circle, Zoopla and TransferWise, among others wanted to be part of the EU. However, the referendum does not favor their interests. Despite that, these companies can keep their businesses alive and growing if they comply with the laws of the EU. Ever since the UK announced its decision, the big question being asked is: What will happen next? As noted in Brexit Q&A, the “Leave” win, which means voting for the exit from EU, means that the UK government must decide on the date to invoke Article 50 of the Treaty of Lisbon, which outlines the legal roadmap using which a state can withdraw from the EU. If the provisions of the Article 50 are considered, it would take minimum two years for the exit. That is ample time for companies to chalk out their roadmap and safeguard their interests in and outside the UK. Furthermore, as clarity on how trade would be handled between the EU and the rest of the world emerges, compliance would be one of the key issues which businesses will face and will have to address. The UK government is definitely going to be a protectionist and will build its own regulatory system as that seems to be the real purpose of Brexit. The UK government might introduce changes into the labor laws and resort to measures which favor its citizens. However, the extent to which these regulations would be changed remains a topic of debate as the EU withdrawal is a long-drawn process. At best, this is the right time to review the regulatory challenges which are going to crop up in every organization, be it a bank, retail firm, Pharma Company, a ecommerce player or an auto giant, among others. All of them will have to align their IT and back-end support to ensure business continuity. It is unclear whether Britain would prefer to keep the EU laws on data security or not. But there seems to be no choice as they are the best and the strictest. Hence it is better that organizations align their IT with the EU regulations. Also, the impact is expected to be greater on the movement of workforce in the region. Hiring of individuals from across the regimes either for IT or tech support can become a challenge. It is advisable that steps are taken to align your organization policies with laws that will exist in both the regions. Complexities in your IT landscape might upset customers, especially in the exit scenario which is not a desirable situation. As a business, your sole focus has to be on solving the problems of your customers. It will give you an edge over your competition in the event of a split.